Revolving around notions of mortality and immortality, the exhibition Redwood physicalizes Lowe’s eponymous film, her first feature. Commissioned by Pioneer Works, Redwood (2016) is a time-travel family drama featuring a young woman, ostensibly Lowe, receiving a memory transplant from her grandmother who is in a vegetative state in a Mnemonegenix Center. Due to her grandmother’s dementia and the limits of technology, time frames and characters are fragmented and conflated in her memories. 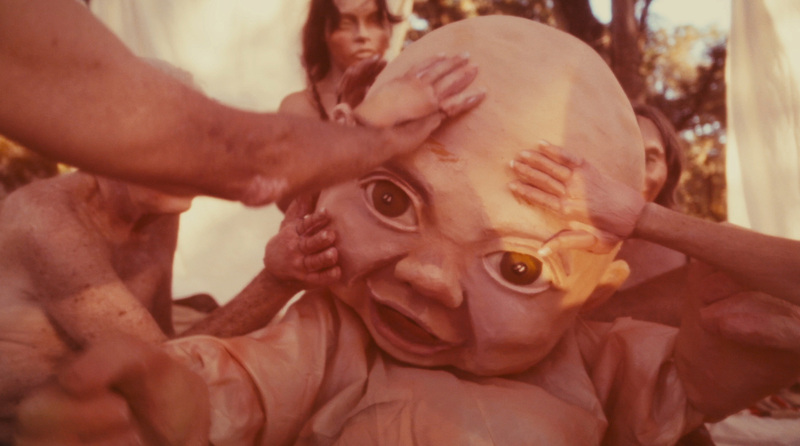 Worn by all characters throughout different decades are hand-made masks that depict one woman aging from adolescence to obsolescence; the masks collapse Lowe’s identity with those of the other female family members, making character dynamics and plot lines intentionally ambiguous. 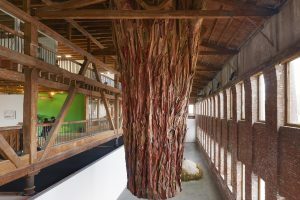 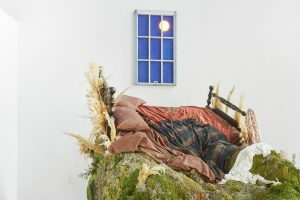 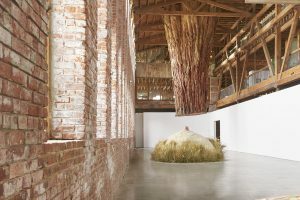 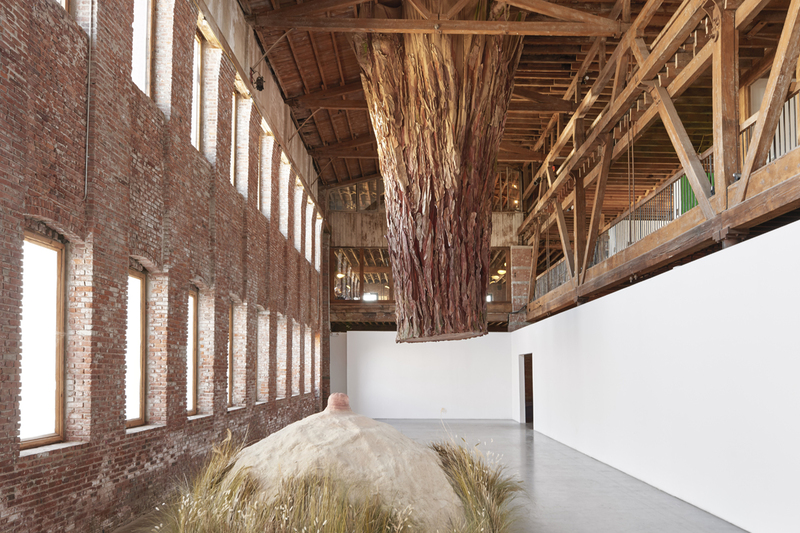 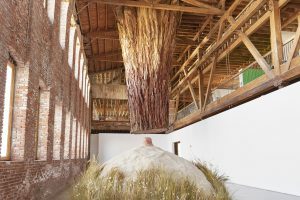 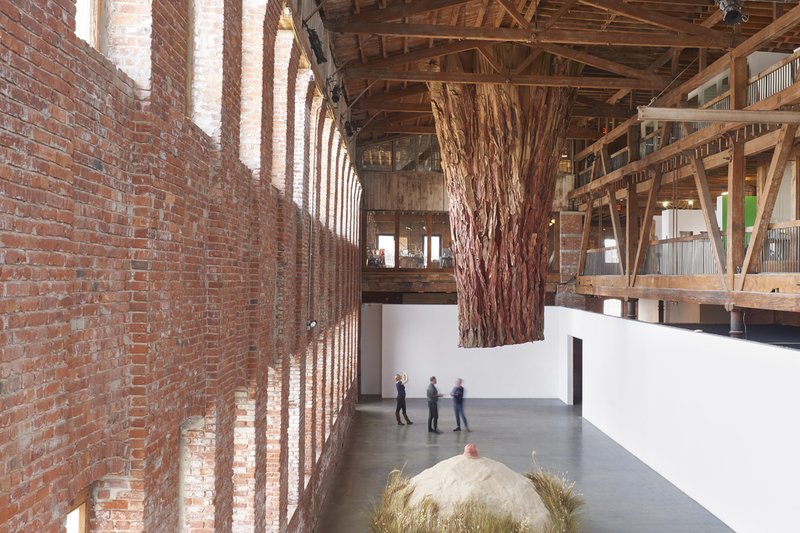 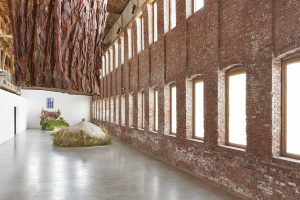 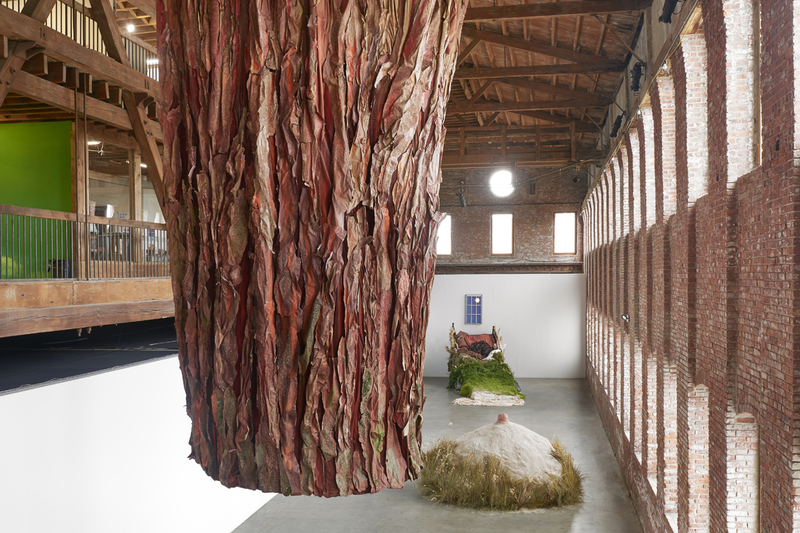 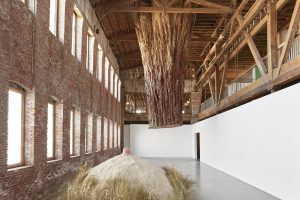 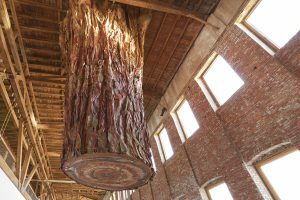 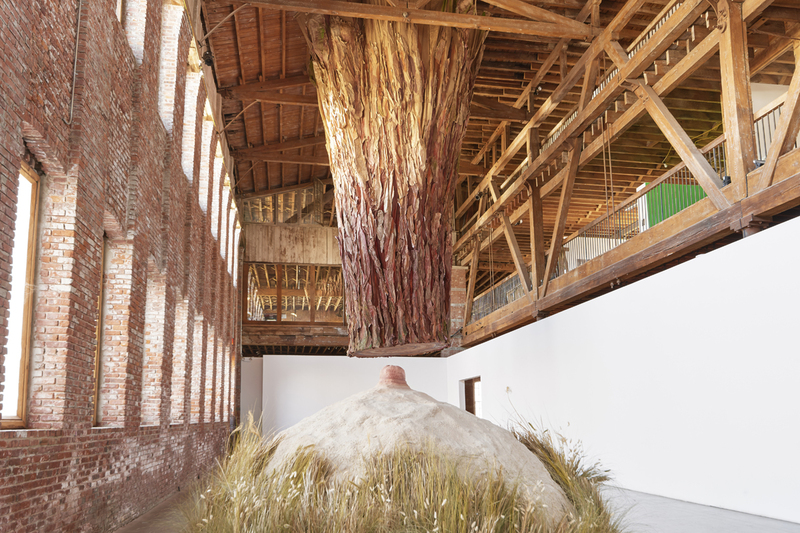 Redwood surround’s Lowe’s film installation with a surreal landscape, comprised of a 30-foot, suspended Redwood tree, a large, sand-dune breast, and a steep hill-bed. 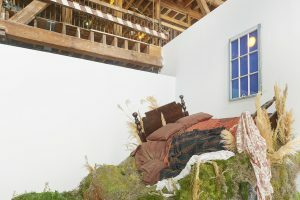 In addition, masks and gloves from the film are displayed as a taxonomy of the film’s characters’ aging process. 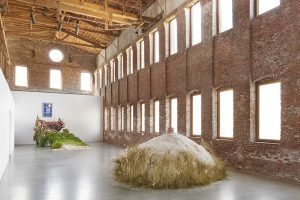 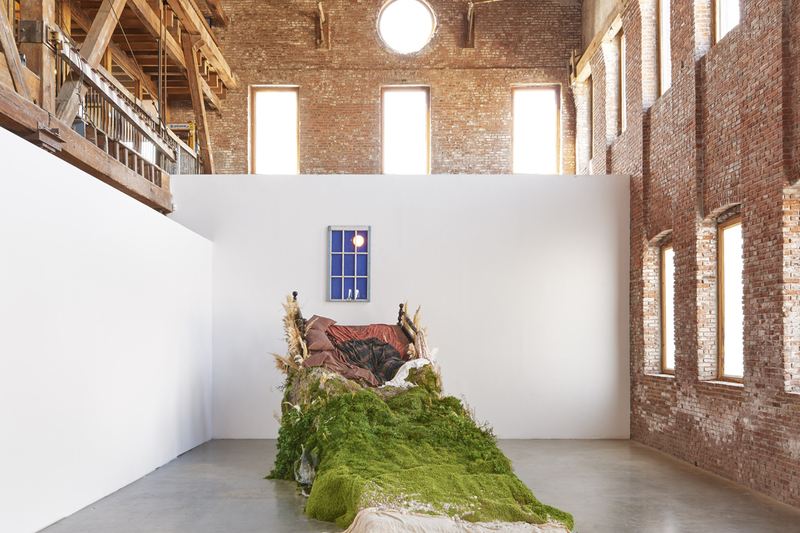 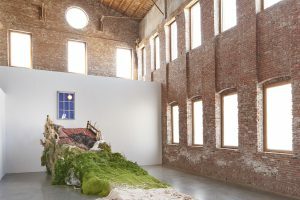 This marks the first Pioneer Works feature-length film commission, the culmination of a sustained working relationship with the artist, which began in 2014. 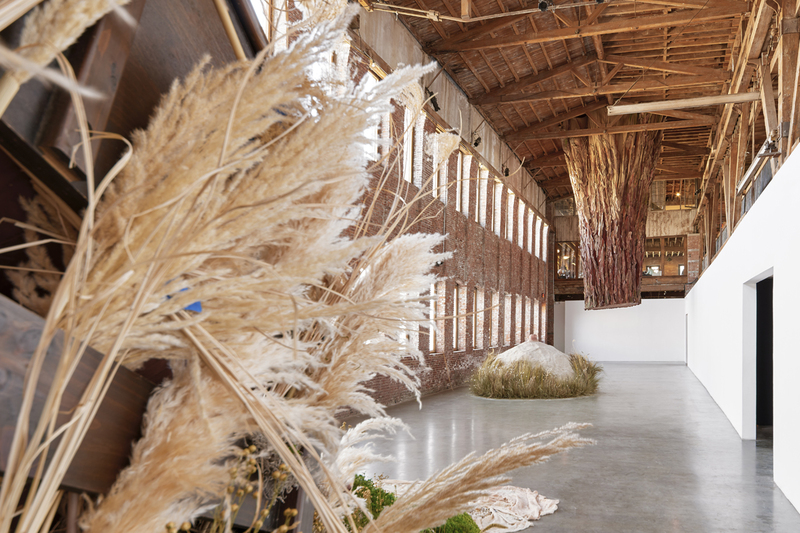 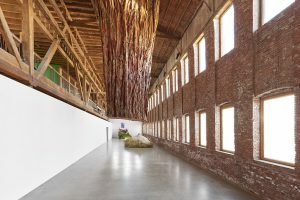 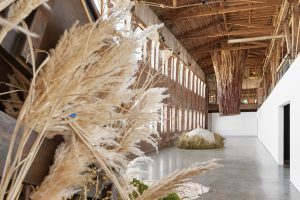 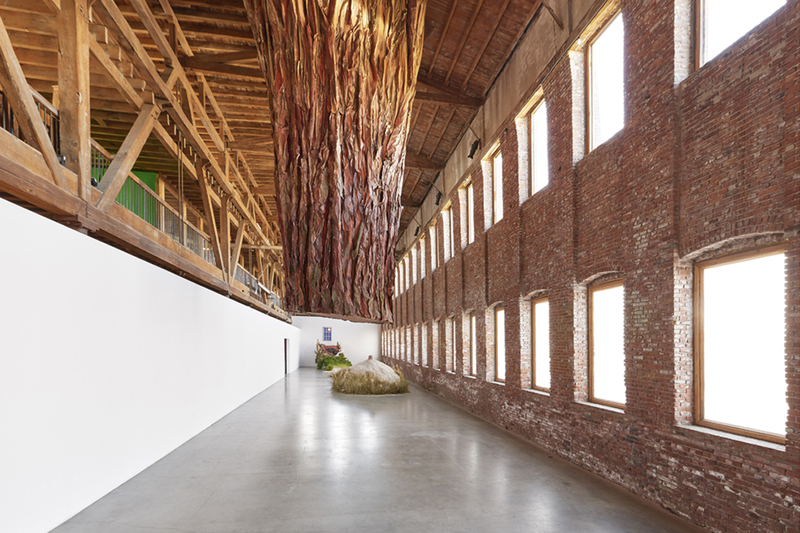 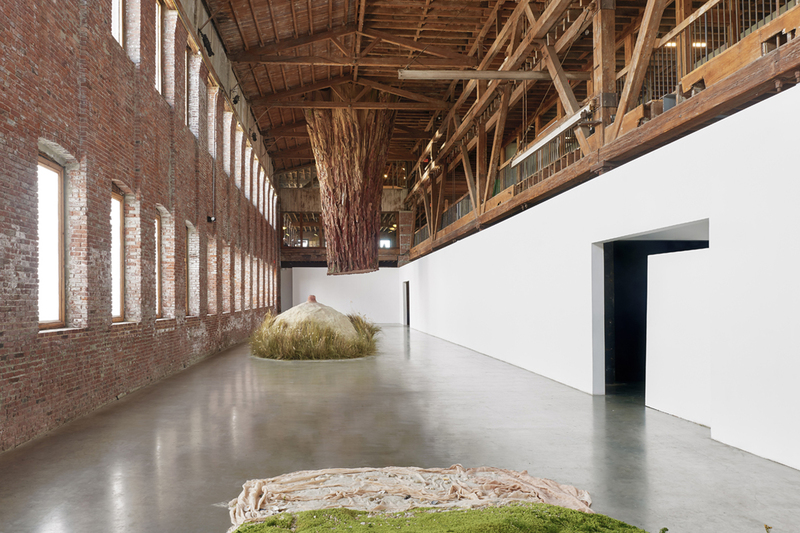 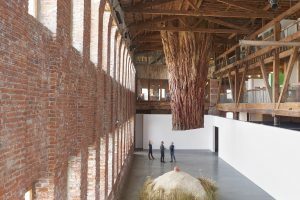 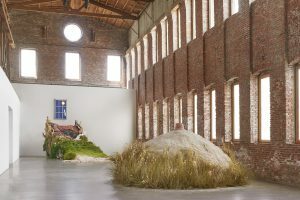 When Lowe was in residence at Pioneer Works the next year, she filmed most of Redwood inside handmade sets on the third floor of the space. 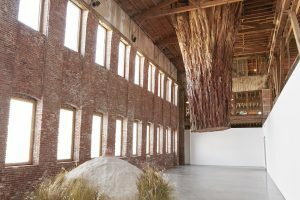 Additional scenes were filmed in Northern California.